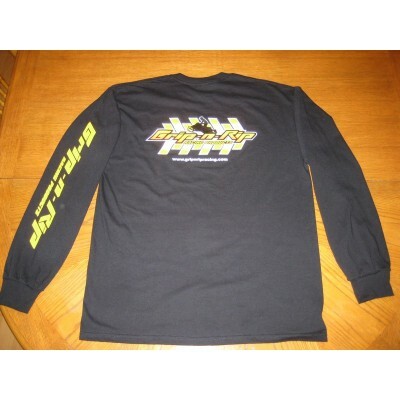 Grip N Rip Racing Long Sleeve Black Shirt - Grip N Rip Racing LLC. Gildan Ultra Cotton Heavyweight Long Sleeve Black shirt. Small Grip N Rip Racing logo on the front pocket. Large Grip N Rip logo on back and logo on Sleeve.